Instinct is the direct connection with truth. 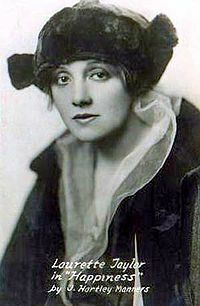 Laurette Taylor (April 1, 1884 – December 7, 1946) was an American actress, primarily on stage, with some forays into silent film. She was a preeminent figure of the Early-to-Mid 20th century theater. This page was last edited on 30 August 2018, at 00:10.